Thanks to ecommerce giants like Amazon, next-day shipping has gone from competitive advantage to baseline consumer expectation. Keeping pace isn’t easy, though; one McKinsey study argues that a company needs twenty regional distribution centers to compete with Amazon. A lot of companies are using creative warehousing solutions to compete. For many, a smaller footprint is becoming an unexpected advantage — especially when supported by strategic partnerships. Strategic warehousing is the key to powering next-day fulfillment. How does strategic warehousing work? Physical proximity is a huge advantage for companies who want to support next-day fulfillment. By truck, the fastest a retailer with one warehouse in Fontana, California can deliver a package to a customer in Portland, Oregon is three days. That quickly turns into four or five days once you move away from the coast. Instead, companies are now opening a smaller fulfillment center within a day’s drive of Portland, one in the Bay, one in El Paso, and so on. Thanks to their smaller footprint, these smaller warehouses can be positioned closer to the urban core of the cities they service. For example, Amazon operates several small-footprint warehouses in the Los Angeles basin, including one in suburban Rosemead and another in the Valley. With that kind of proximity, same-day shipping becomes an option as well. A strategic warehouse approach helps save money on local shipping. For example, having a warehouse or series of warehouses near high-density urban areas keeps shipping costs in Zone 1. This can keep costs low enough that companies can afford to offer free shipping — a major competitive advantage. Strategic warehousing introduces a number of complex operations into the supply chain. Companies who are using a network of warehouses need to manage cargo between the port and many locations, and transfer freight between nodes to balance out inventory to meet demand. 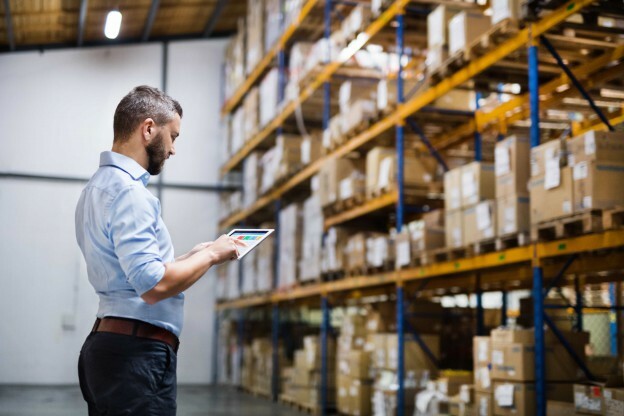 In order to manage diverse supply chains, companies rely on advanced inventory management software designed to use big data to move product based on demand. This software can accurately track product using RFID chips from hub to node to a customer’s front door. It also makes note of how much inventory is available in real time. The result is a cohesive, adaptive, and responsive supply chain. Nowhere is this more necessary than for retailers that operate brick-and-mortar stores in concert with omnichannel warehouses. In-store picking for ecommerce retailers enables both next-day fulfillment and customer pick up — another increasingly popular ecommerce feature — but it also complicates inventory management. In-store picking involves advanced product tracking to ensure that a product is still available when a customer comes to pick it up. Even some big name retail stores still experience difficulty managing inventory this way. Before any strategic infrastructure can go into place, companies need to take a hard look at their current software practices. Sometimes, cutting-edge tech from only a few years back can no longer keep up with next-day speed. For example, a number of warehouse management systems that were designed a few years ago still rely on bulk release for picking. While valuable for managing disbursement for large retailers, “wave management” processes large orders start to finish with no way to accommodate new orders based on priority. With the increasing number of next-day and even same-day orders in the queue, this can create a “choke point” that slows fulfillment. Many developers are advocating for “dynamic integrations” designed to make the connection between order management and WCS/WMS systems more nimble. Regional warehousing can only go so far. Tightly managed regional warehousing and nimble last-mile fulfillment can help accommodate next-day orders, but can’t accelerate operations elsewhere in the supply chain. For example, cargo coming from overseas manufacturers can take weeks to ship and process. Third-party partnerships at the port can expedite drayage from container ships, through transloaders, to regional cross-docking facilities and warehouses with minimal downtime. Many companies are also using partnerships to expand warehousing capacity. For example, Globecon — a 3PL partner at the Port of Los Angeles – offers port-side warehousing to store overstock cargo until you need it. For companies that use a regional “node” model, port-side warehousing provides scalable storage support; a retailer can increase or decrease their capacity without building out infrastructure or signing a lease on a new warehouse. During periods of increased demand, you can warehouse additional backstock stateside, rather than waiting for resupply from overseas. If demand decreases, your capacity can shrink to match. In addition, Globecon can facilitate direct product shipping to retail stores, regional warehouses, even customers — a valuable shortcut for shipping bulky items like furniture and appliances. Learn more about your partner at the Port of Los Angeles. Contact us!